Any action done by a minion this is played on will break stealth early. 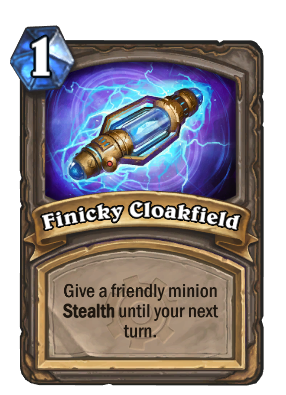 Example: you target Flamewaker and it will become stealthed, its passive will then trigger brining it back out of stealth. It's not "any action" which uncloaks a minion actually. It's any damage they deal. If a stealthed minion with an attack above zero is attacked by an ogre, it also uncloaks them because they deal damage to the attacker).